Through the winter season, seniors stayed warm indoors, avoiding the snow at all cost. Spring comes with many lovable perks such as fresh air which provides more energy, cleans your lungs, strengthens your immune system and boosts your mood. Additionally, research has found that spending some time outside improves your mental health as it reduces your heart rate, making you more relaxed, ultimately decreasing the risk of heart diseases. While vitamin D is the most common known vitamin received from sun rays, lymphocytes, a white blood cell that defends against infections, is also energized by sun rays. Furthermore, Spring’s warmer temperatures means an increase in moisture in the air, removing body lotion from your senior’s daily care routine. Take a day trip and bring your senior to a tourist attraction they haven’t seen before to enrich their life with some fun and culture. 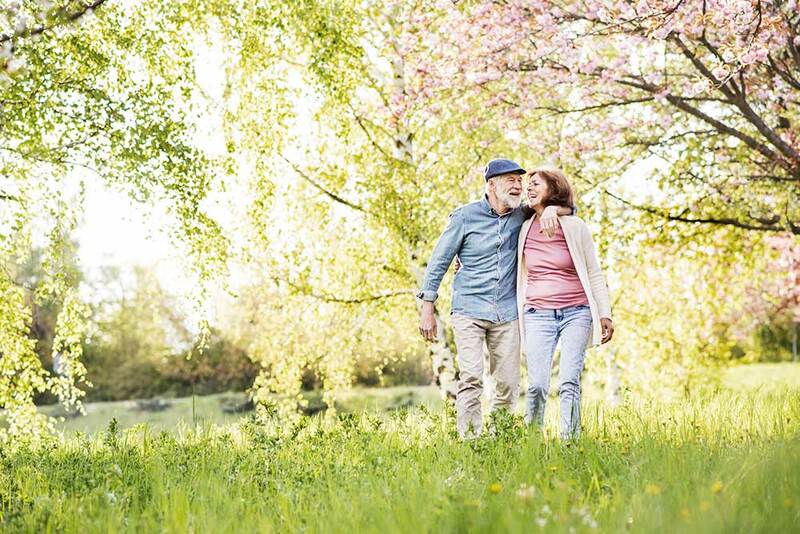 Even if it’s your favorite bakery shop, a walk on the seawall or visiting a nursery, these activities can brighten up your senior’s day and strengthen your bond. With the icy wind gone, enjoy a healthy meal and some good company on the sunny patio with your senior, while adventuring into new flavors and recipes. The exposure to vitamin D can reduce seasonal depression, and the spring landscape can de-stress your mind. Plus, the growth of flowers and leaves is accompanied by more oxygen as plants absorb carbon dioxide. Don’t forget your senior’s sunglasses to protect their eyes from UV rays! Spring time is the time to fuel your mind and body with fresh produce filled with vitamins, minerals, fiber, and antioxidants. Visiting your local farmer’s market allows your senior to pick their favorite produce while getting their daily recommended exercise. As they partake in local community activities, it creates a sense of belonging and involvement for your senior. Get Your Hands Dirty Gardening! Adding to the collection of flowers and fresh produce by gardening can lower cortisol levels, and ensure your senior receives their daily dose of vitamin D and exercise. Studies have found that gardening dirt contains a ‘friendly’ soil bacteria called mycobacterium vaccae, absorbed by vegetables and produce, which alleviates depression, symptoms of psoriasis, allergies and asthma.